The Nectar Liquid Diet -- also known as the Nectar Thick Liquid Diet -- is not a weight loss diet plan, but rather a specialized nutrition plan for individuals that suffer from dysphagia, or difficulty chewing and swallowing food. 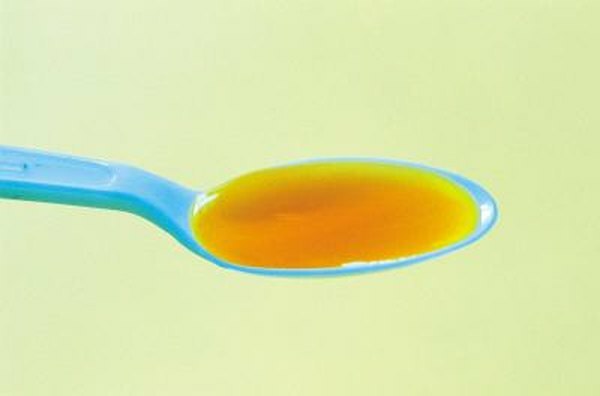 The Nectar Thick Liquid Diet has specific guidelines as to how thick liquids should be and what thickening agents are best to use under what circumstances. Diets of exclusively nectar-thick liquids are prescribed by doctors -- and, in some cases, speech therapists -- for two reasons. First, the thickened liquids slow the progress of food down the throat in patients who have difficulty swallowing in order to give them greater control over the eating process and to prevent choking. Secondly, the thicker liquids help to keep fluids in a liquid diet from flowing down the trachea instead of the esophagus and possibly causing pneumonia to develop in the lungs. Dysphagia, or trouble swallowing and chewing, can develop in an individual for a variety of reasons. In esophageal dysphagia, problems with the esophagus are the root of the problem. The esophagus may have been damaged by persistent acid reflux or restricted by a tumor; additionally, a hernia may have developed in the esophageal walls or the muscles may not be working adequately enough to move food down the throat to the stomach. In oropharyngeal dysphagia, nervous system disorders such as Alzheimer's disease, Parkinson's disease, stroke, multiple sclerosis, cerebral palsy, head or neck cancer or brain trauma disrupt the ability of the mouth and tongue to work together to move food to the back of the throat to swallow. The Nectar Liquid Diet is an effective way to nourish people suffering from either type of dysphagia. For people on a nectar-thick liquid diet, every food item must be liquefied into a fluid that is the consistency of liquids such as fruit nectar, honey, buttermilk, maple syrup, thick cream soups, eggnog or tomato juice. Since any thin liquids can cause people with dysphagia to choke, all liquids -- even water -- must be thickened before drinking. While on the Nectar Liquid Diet, you should avoid anything that could potentially melt and thin the liquids you consume, this includes ice cubes in drinks and items like Jell-O or ice cream. All thickened liquids should be consumed slowly, in an upright position and you should stay upright for at least 15 minutes after eating. There are two main types of commercial liquid thickeners: starch thickeners and gel-based thickeners. Starch thickeners are powders that are sold in packets or canisters while gel-based thickeners are a gel-like substance whisked into the liquid. Both can be used with any type of food and will not change the food's flavor. Cornstarch, banana flakes, instant potato flakes, unflavored gelatin powder, baby food-style rice cereal, pureed baby food, custard mix and cooked cereals such as cream of wheat or cream of rice make reliable thickeners. Meals on the Nectar Liquid Diet must be carefully designed in order to provide enough nutrients, fluid and calories on a daily basis. The Jackson Siegelbaum Gastroenterology website provides a daily sample menu for individuals on the Nectar Liquid diet that includes thickened juice, milk and tea for breakfast along with pureed and thickened oatmeal and an omelet, followed by a lunch of pureed beef, potatoes, green beans and applesauce and thickened juice, coffee and milk. Dinner might consist of pureed chicken, pureed vegetables, pureed mashed potatoes and pureed soup. The website recommends using hot broth or gravy to puree meats and vegetables and hot milk or cream to liquefy, then thicken soups or cereals.